William C. ("Bill") Gentry has been practicing law in Georgia since 1986. His primary area of practice is family law cases, including divorce, high asset property division, child custody, and alimony cases. Bill served as President of the 1,000-member Cobb County Bar Association in 2001 and 2002. In 2012, Bill was elected to the Board of Governors of the State Bar of Georgia, the mandatory association that governs lawyers and the practice of law in Georgia. Bill has tried hundreds of cases in state and federal courts throughout Georgia, and he has argued dozens of appeals in both state and federal appellate courts in Georgia. He is admitted to and has argued in the Georgia Supreme Court and the Georgia Court of Appeals and the 11th Circuit U.S. Court of Appeals in Atlanta. Bill is also a member of the bar of the United States Supreme Court. 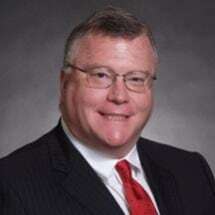 He is a member of the Cobb County Bar Association, the State Bar of Georgia, the American Bar Association, and the Georgia Trial Lawyers Association, and he is a Fellow of the American Bar Foundation. Bill is a Phi Beta Kappa graduate of the University of Virginia's Economics Honors Program where he earned his BA degree in 1981. Bill earned his law degree from the University of Georgia in Athens in 1986. Bill serves as Lay Leader at Due West United Methodist Church and has previously served as Chair of the Administrative Board, the Long Range Planning Committee, and the Staff Parish Relations Committee.